"Whites can�t run sprints � that�s something people have heard over time. 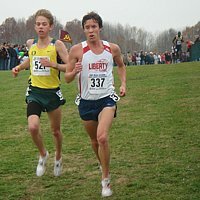 Anybody can run if they have desire.�"
-Casey Combest, the national high school record holder in the 60, who happens to be white. He begins his comeback in track and field today in Illinois. 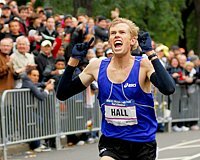 LetsRun.com Weekend Preview: A full slate of XC action (Footlocker's, European's, Club Nationals), plus America's third largest marathon - Honolulu. We break down the action. Be sure to check out our full Footlocker previews to the right as the races are incredible this year. Casey Combest (aka the Great White Hope)'s Comeback Starts Today Back in 1999, Combest who happens to be white was smoking Tyson Gay and running 6.57 for 60m (a high school record). Then he vanished from the track and field world. Tomorrow, his comeback begins in earnest. 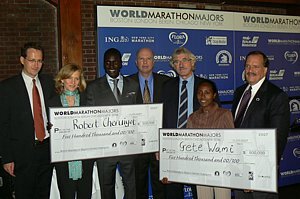 World Famous LetsRun.com $200,007 Footlocker Prediction Contest Get your picks in.